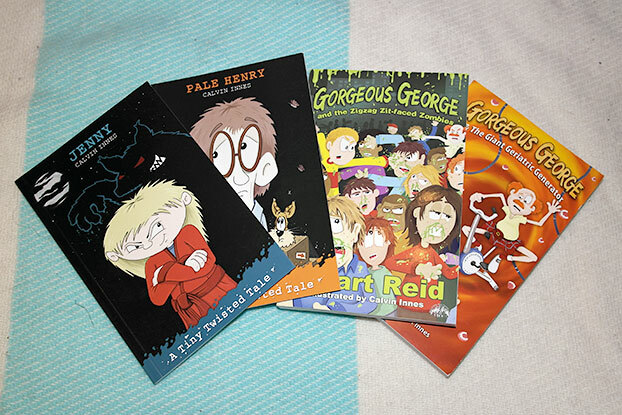 The lovely folk over at My Little Big Town have sent me some of their books to giveaway, and next up is this bundle aimed at older readers aged 7+. Bogies, baddies, bagpipes and bums! Farting, false teeth and fun! Gorgeous George and the Giant Geriatric Generator begins when George witnesses something rather disturbing from his bedroom window late one night. People are disappearing and no one seems to care. The first in the Gorgeous George series, this book looks great. 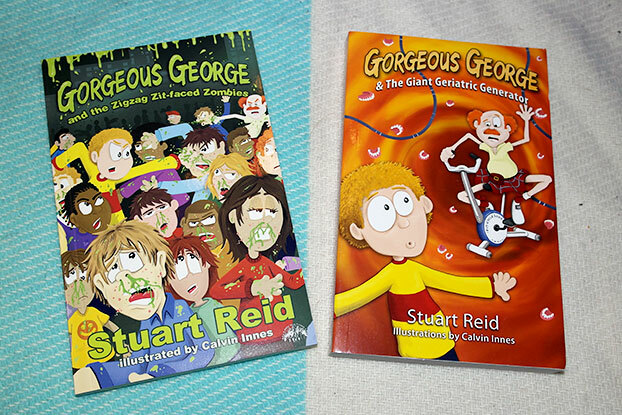 The illustrations by Calvin Harris bring a real element of fun to the book and the story sounds really entertaining. Sneezing, sniffing, snogging and snots! Zombies, zebras and zits! A chemical experiment by the military has gone wrong and the toxins are now airborne. The pupils of Little Pumpington primary school are breathing in the gas and their behaviour is becoming bonkers. The sequel to Gorgeous George and the Giant Geriatric Generator, this book tells the tale of a zombie infestation at the local school. from his head to his feet. and as white as a sheet. 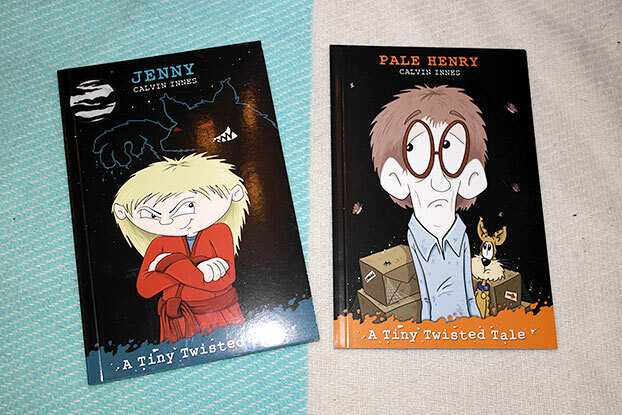 With words and illustrations by Calvin Innes, Pale Henry is the story of a young boy who has spent his whole life hidden away in his attic, afraid to go outside to play with the other children. other kids would find frightening! Jenny is the tale of an eight year old girl who has a secret… she is not an average eight year old. Jenny is a Werewolf hunter who loves all things spooky! To enter this competition, just leave me a blog comment telling me who you would give these books to, and then register your entry with the rafflecopter form below. My little brother he absolutely loves books like these!